This week the PGA Tour heads to Pacific Palisades, California and Riviera Country Club for the 2019 Genesis Open. It's a course and event that always draws a strong field and the same can be said this time around as six of the Top 10 and 29 of the Top 50 players in the world are teeing it up this week. The course is a Par 71 setup that is on the longer side of things at 7,322 yards. 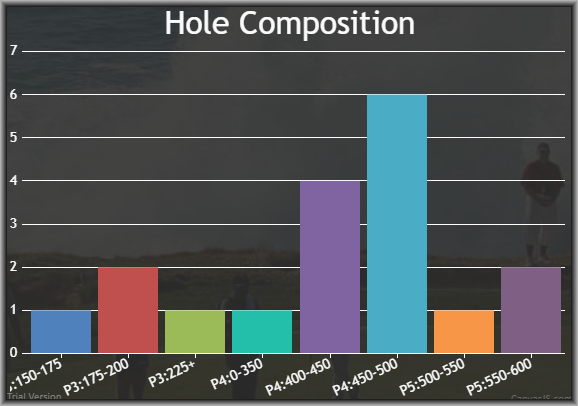 As you can see below in the course breakdown, the biggest test for players are the Par 4's and especially the six of them that are between 450 and 500 yards. 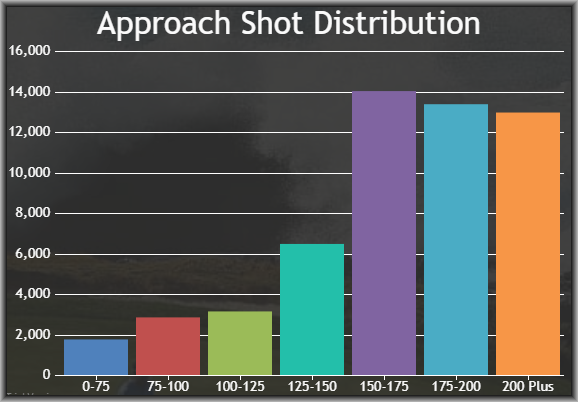 The fairways are some of the hardest to hit on tour(54% average courtesy of Future of Fantasy Golfanac) and which gives some advantage to the longer hitters as they will be using smaller clubs on their approach shots creating an easier path to a higher ball flight to hit and stick on these smaller than average, fast greens. Not that shorter hitters can't have success here but they have to be very precise with their long irons. While it is one of the tougher events on Tour, the average winning score over the last five years has been -13(high of -17, low of -6) so Birdie or Better % will also be factored into the equation. With all that said, let's take a peek at the course, previous winners, top stats, and then jump into the picks. Schauffele comes in at #3 in my model this week and checks off all the boxes as the only player to rank Top 15 in all four categories(history, stats, form, fantasy scoring). Let's start with his elite form as he is coming off a T10 at the Waste Management Phoenix Open and already has two wins(WGC HSBC Champions, Tournament of Champions) under his belt this season. He now returns to Riviera after a T9 a year ago in his first trip to the course. He isn't the longest on Tour but still averages around 300 per drive and over the last 24 rounds(via FNGC), he ranks 10th in SG: Approach, 1st in SG: Putting, 22nd in Par 4 Scoring from 450-500 yards, and 5th in fantasy scoring. While his price stayed the same on FanDuel, it dropped $700 on DraftKings making him a core play for me in all formats this week. I will be shocked if Matsuyama isn't the highest or second-highest owned this week as he is already leading the tag counts on FanShareSports and for good reason. I started a DFS PGA Salary Trend Sheet and Hideki jumped off the page this week as his price dropped $700 on FanDuel and $1,400 on DraftKings since the Waste Management Phoenix Open. It doesn't really make sense as he is coming off a T15 at the WMPO and T3 at the Farmers Insurance Open and has gained strokes Ball Striking in 75% of his rounds and gained strokes specifically on the Approach in 83% of his rounds(leads field) over the last 24 rounds. While he missed the cut here in his last trip to Riviera in 2017, he has experienced success here finishing T11, T4, and T23 in his other three trips. All things considered, Hideki is a great play in all formats. Kuch isn't the longest off the tee but checks every other box this week. He is one of, if not the most, consistent player on Tour coming off a season where he made 19 of 23 cuts and has been even better in 2018-19 with two wins(Mayakoba Classic, Sony Open) and five Top 25 finishes in six events. Looking at his course history on my sheet(last 5 years), he missed the cut back in 2014, didn't play here in 2015, and has since reeled off three straight finishes of T26 or better including a Top 10 in 2016. He also stands out in my stats model ranking 22nd in SG: Ball Striking, 8th in Par 4 Scoring, 18th in overall Proximity, 14th in BoB%, and 4th in Bogey Avoidance. He has a very high floor at these prices(18th on DK, 17th on FD) and has also shown us his winning upside as well. I was all over Kokrak last week before he withdrew like so many others and like him even more this week at a price that is $900 cheaper DraftKings. He is #8 in my overall model after putting together three straight Top 20 finishes at the Waste Management Phoenix Open, Farmers Insurance Open, and Desert Classic and now returns to Riviera where he has finished T22 or better in three straight years. He also fits the stats profile averaging around 305 yards off the tee, ranks 12th in SG: Ball Striking, 4th in Par 4 Scoring, and 15th in BoB%. Fire up Kokrak in all formats. Kang has missed three cuts so far this season in nine events but has Top 30 finishes in five of his six made cuts including a T14 last week at Pebble Beach. He has struggled off the tee mainly due to the accuracy which won't hurt him as much this week and the other good news is that his Around the Green game(1st in Sand Saves & 4th in Scrambling last 24 rounds) and Approaches(22nd in SG: APP last 24 rounds) has been on point. He now returns to Riviera where he has been fantastic with a T16, T22, and T8 in his three trips. He is another golfer that deserves our attention in all formats this week. I was very close to adding him to my cash game list but seeing his Ball Striking stats has me reserving him for GPP only this week. Over the last 24 rounds, he ranks 91st in SG: Off the Tee and 104th in SG: Approach but the good news is that he has been terrific on Par 4's from 450-500 yards(22nd) and overall putting(32nd in SG: P). 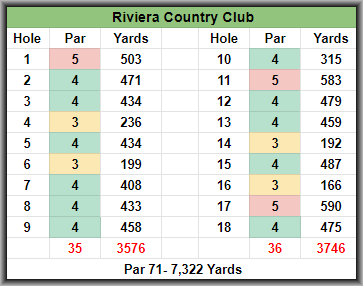 Looking at consistency from a cut making perspective, he has also been good making four straight(T26, T40, T7, T20) dating back to the Sony Open and has also finished T17 here at Riviera in his only trip to the event back in 2017.